The top cover LOCKS in place. This is huge. You wouldn’t believe how many diffusers out there don’t have a locking mechanism for their top cover. A locking cover prevents accidental spills or leaks, and increases overall confidence in the unit staying together should it get bumped slightly or shuffled around the counter a bit too quickly. It’s small and cute. Sure, perhaps you’re looking for bigger area coverage or more power, then head over here. 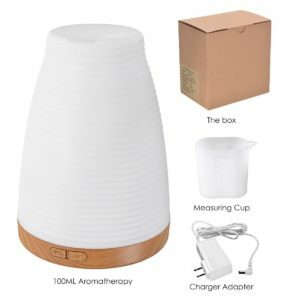 But if you’re just looking for an average, day-to-day, home use essential oil diffuser, I find a smaller size much more handy. It comes in two color choices for the base. The log stripes look (pictured on the right), or a plain white base (pictured lower in the post). This ensures you can use the diffuser to accentuate your home design and play off of your desired home style. There are two easy buttons for operations – no confusion: one for misting, one for light. That’s it. Easy peasy. No extra things to click or confusing funtionalities, or other display options that one frankly just doesn’t need. It has an incredible price point of just $17.99 on Amazon at time of writing. I’d pay more than that for this unit! Maybe the price will go up at some point, I don’t know. In any case, right now, it’s an incredible deal! The Elegiant diffuser has a water tank capacity of 100 mL, which will last you on average about 4-5 hours. The misting is quite strong coming out of this little unit, so that’s a positive thing. Further to the basic “ON” mode, there is also an additional “3 hours continuous” mist mode, which means it will automatic shutdown after 3 hours. Switch between the two modes by double-clicking on the mist button. The other two mist modes are “light only”; and “mist only”, so in total, this unit has 4 operating modes. No special water is needed to operate this diffuser, which is convenient to use. 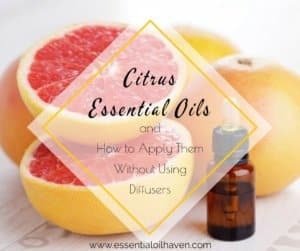 This diffuser also doesn’t heat up the water it disperses, so any essential oils you use in it, will retain their holistic properties. Yes absolutely, this diffuser has an auto shut-off mechanism built in. As soon as the water runs out, the unit will shut off. This lets you rest easily, knowing that you can fall asleep or walk away, and the unit will remain safe and turn itself off. This is a 100 mL diffuser, so I wouldn’t try to mist a whole house or main floor with it. It will work well in a small room, kitchen area, or bathroom. 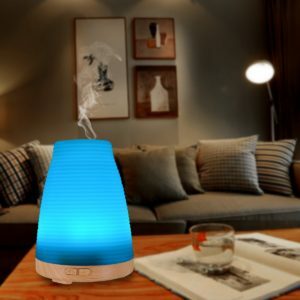 Using an essential oil diffuser will improve air quality and prevents damage from second hand smoke, stale air, and allergens. It functions as an ionizer by releasing negative ions into the air, which combat harmful positive ions. This provides many health benefits, such as: improves breathing, strengthens the immune system, helps to lift your mood and relieve stress. Humidifying your living space also prevents dry, stuffy air, and flu/cold germs infecting your loved ones. Last but not least, it prevents dry and chapped skin in dry winter months. The noise level rating on the Elegiant diffuser is less than 25 db. Due to its advanced ultrasonic diffusing technology, this is a whisper-quiet operation. From my personal testing process, I can confirm that this diffuser doesn’t make any obnoxious noises or sounds. It really is quite pleasant to have around the home. Yes, absolutely! 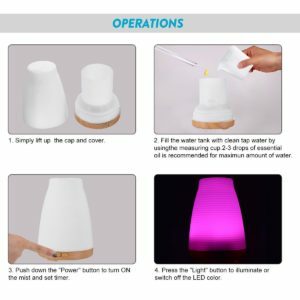 This little diffuser lights up with an array of beautiful changing colors, but if you want no light, you can easily turn it off with one click. The colors are bright and beautiful also, so it works perfect as a night light. 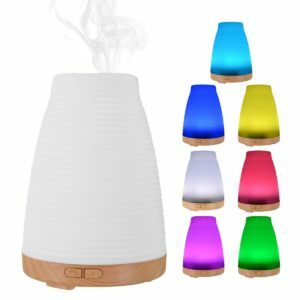 This diffuser’s colors are bright and beautiful so it works perfect as a night light. Please check the troubleshooting, cleaning and maintenance tips page here. I am awaiting manufacturer’s feedback on this question. I will update as soon as I know! Care for the power cord: Don’t stab, distort, or pull the cord of the adapter. Don’t put it in high temperature, and don’t puncture the cord with other heavy objects. IF the cord on the adapter is broken or the plug is loose, please stop using it and contact the manufacturer. Use the measuring cup: To ensure you don’t fill the diffuser past the max line, use the measuring cup provided to add the 100 mL of water. Don’t use a water faucet directly. Choose a safe mist direction: Make sure that the mist outlet doesn’t directly face any furniture, walls, or other objects. Use it on a flat surface: To prevent spills or accidental tipping over of the unit, place it on an even, flat surface. Don’t put it on carpet, mats or other uneven surfaces. Give it a rest: If you’ve used the diffuser for a long time one day, ensure that you “give it a break” by turning it off for at least one hour. This prevents the ultrasonic plate from damage. 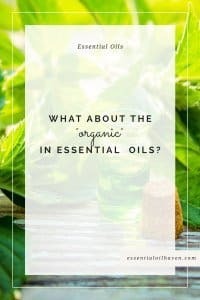 There are multiple ways that you can use essential oils. Everyone has their own preferences, and also different means of managing stress. One of my preferred ways to handle stress is to have a time-out – just for me. 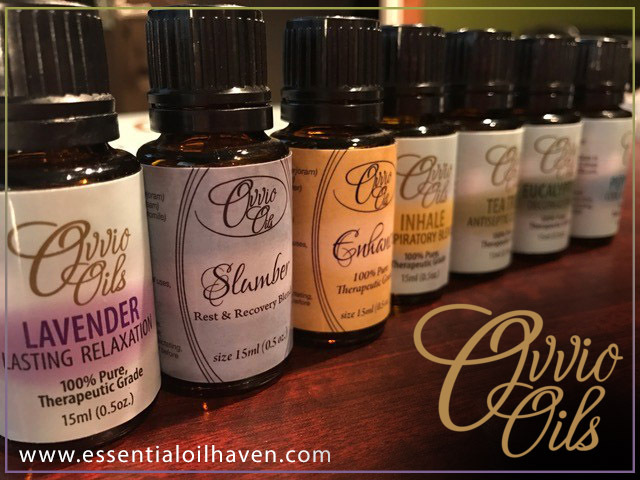 And one of the simplest approaches for that, is to set aside a minute to fill my diffuser with water, choose my essential oil or essential oil blend (for examples, click here to read about the best essential oils that help with stress and anxiety), click “Mist” and off you go. 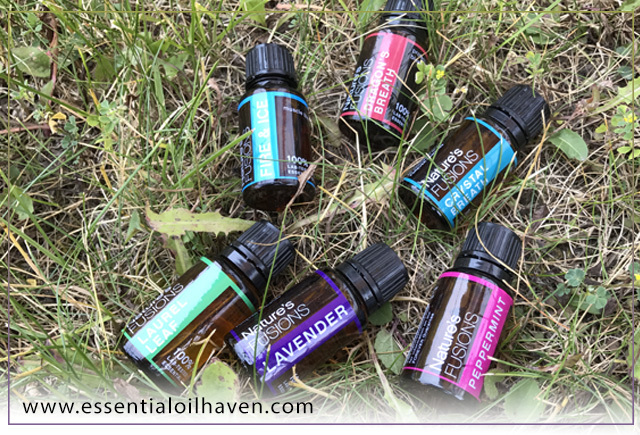 Essential oils have definitely become a real all-natural stress buster for me. 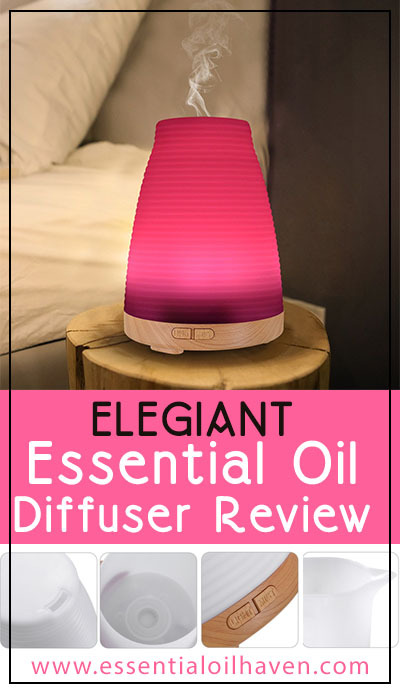 Great review on this diffuser. Good to hear other thoughts before looking to buy one.